When you need more storage and a spot to enjoy your morning coffee in a small kitchen. 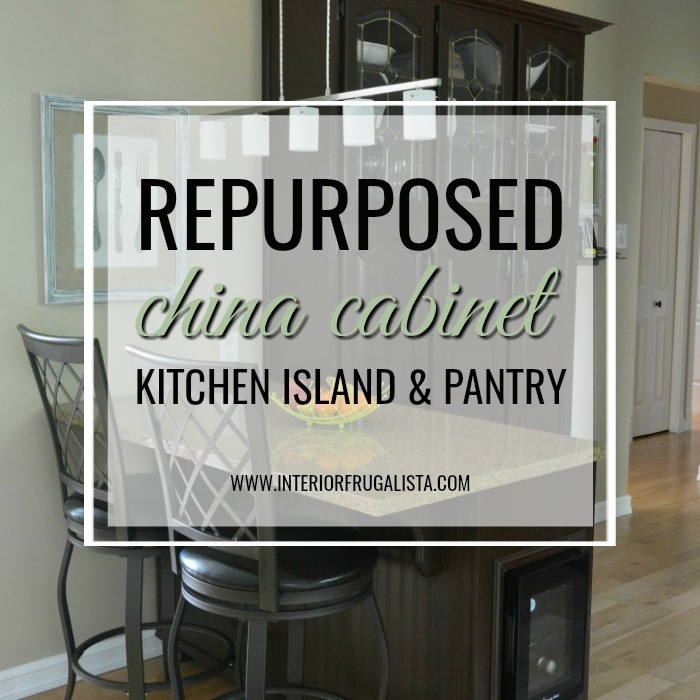 Here's a budget-friendly idea to get both by repurposing a small china cabinet into a kitchen island and pantry. 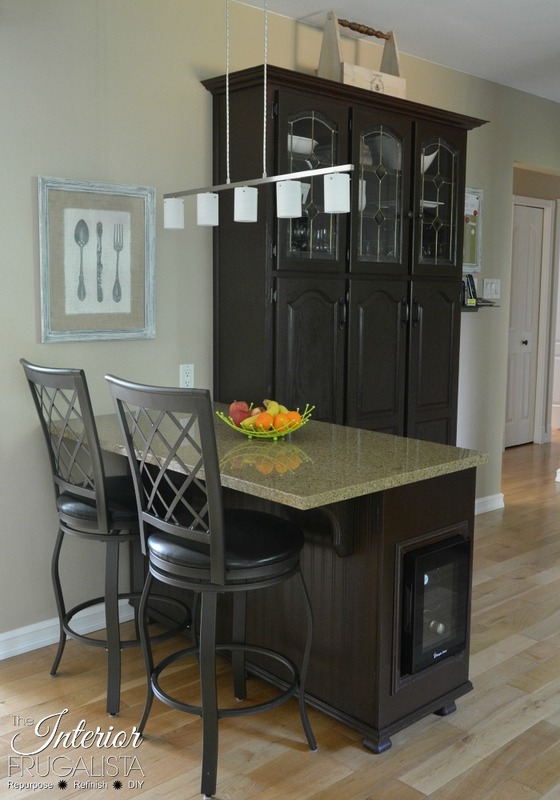 When we gave our honey oak on honey oak kitchen a budget-friendly makeover, Helpful Tips For Painting Kitchen Oak Cabinets White, we contemplated removing the china cabinet and adding a bank of cabinets to the back wall. While that would definitely help our problem with lack of storage, it leaves nowhere to sit and enjoy our morning coffee or much-needed additional counter space. Ideally, we would love to blow out the wall between our kitchen and living room but being a load bearing wall, this option is far too costly. 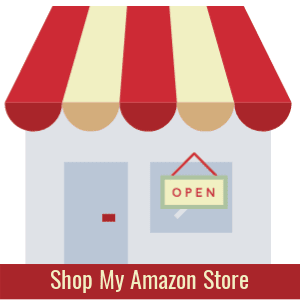 Disclosure: I've included affiliate links in this post so you can see the products or similar products we used in this project. See my disclosure policy. This is the china cabinet we started with. It has sentimental value because my husband surprised me with it and matching table and chairs one Christmas Eve. 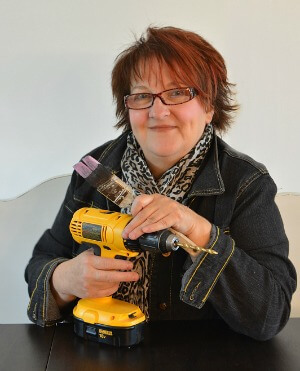 I'm so glad we were able to use it as the foundation for our new custom built-ins. 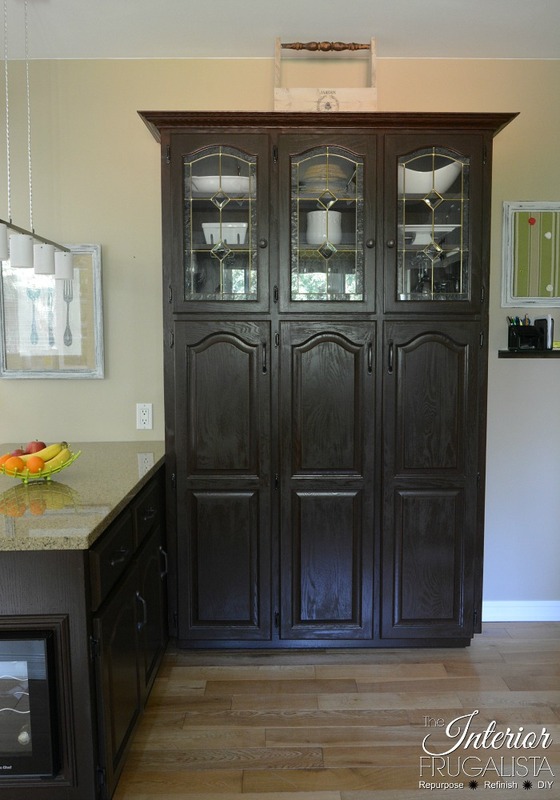 The top and bottom pieces of the china cabinet were separated to form both the small kitchen island and pantry unit. 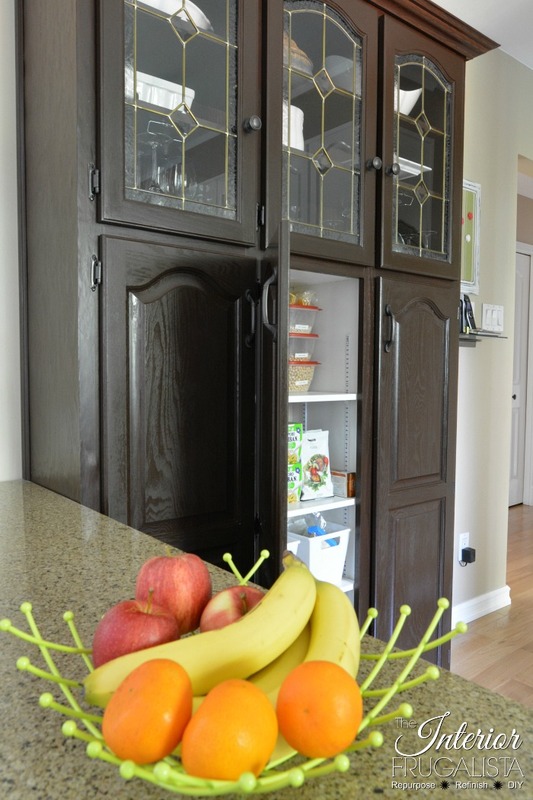 What we did was build a melamine cabinet with three storage cubbies that lined up with the three doors on the top of the china cabinet. The upper portion of the china cabinet was cut to fit the new pantry carcass and secured with wood screws. 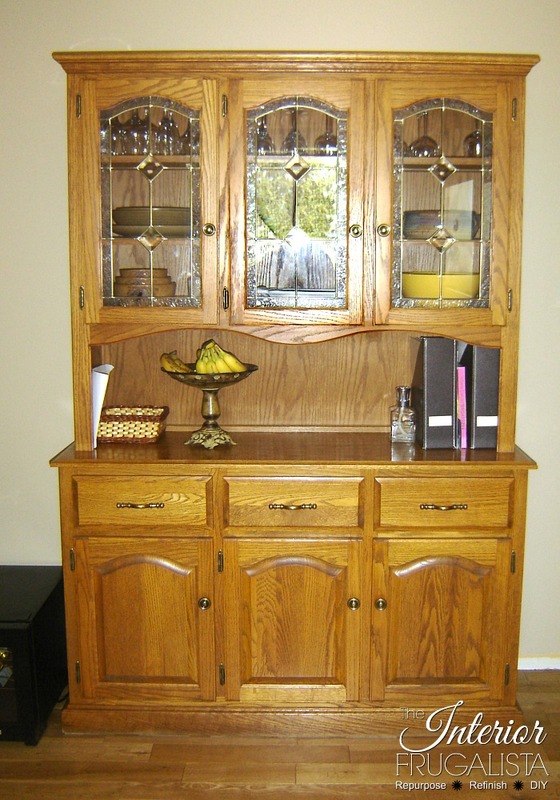 Three large custom oak doors were ordered to match the profile of the china cabinet doors. 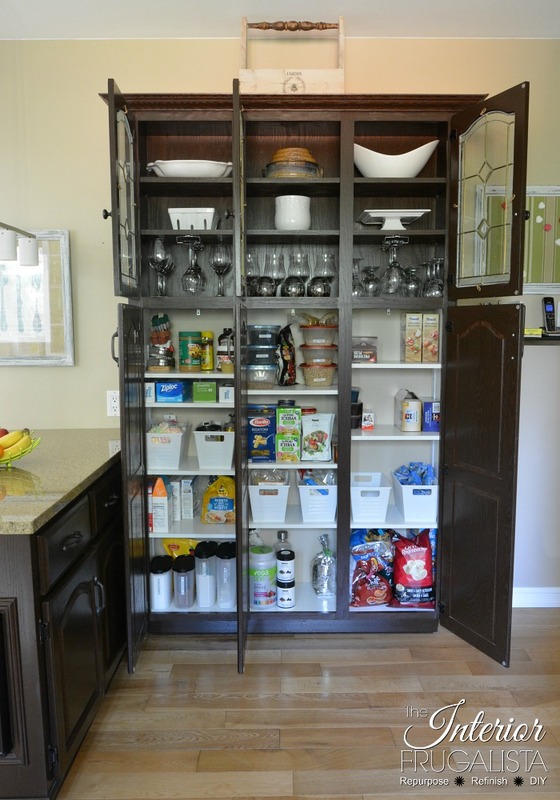 The exterior of the melamine pantry was faced with an oak veneer and the original china cabinet crown molding was replaced with a larger profile. All the oak was stained a dark walnut to match the lower cabinets in the kitchen. To get an idea of how we built the lower pantry unit, this is what it looks like open. The original oak back on the upper cabinet was kept to dress it up behind the glass doors. You can see the lower part of the pantry unit does not have a back. Essentially we built a melamine rectangular box with two sides, a top and bottom, two dividers, and a kick plate underneath. Our small kitchen doesn't have a lot of cupboards and so this pantry opened much-needed space in the cupboards for dishes, pots and pans, and plastic kitchenware storage. We added metal brackets to each storage compartment for adjustable shelving which is very handy (pictured below). Building the small kitchen island was rather easy. All we did was add feet to the base to raise it to counter height, as it will also be used for extra food prep workspace. 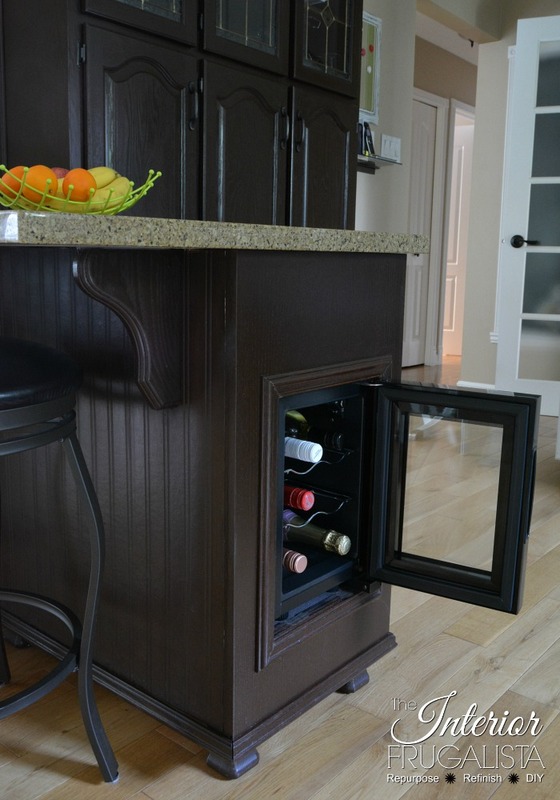 We found a small 6 bottle wine fridge that fits perfectly without losing a much-needed drawer. 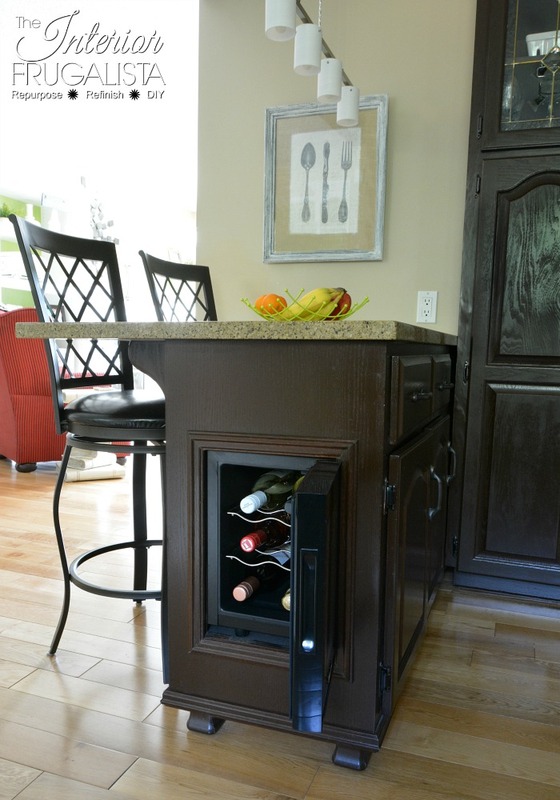 We cut an opening on the side of the island to accommodate the fridge rather than removing a door from the front. Not 100% convinced we made the right decision but it's too late now. Wood brackets were mounted to the back of the cabinet to support the new countertop. On a cold -20C (-4F) winter day we found the perfect granite slab that matched our kitchen counters tucked in the back of a local cabinet shop's storage yard. We went with a simple square profile edge to match the kitchen counters. 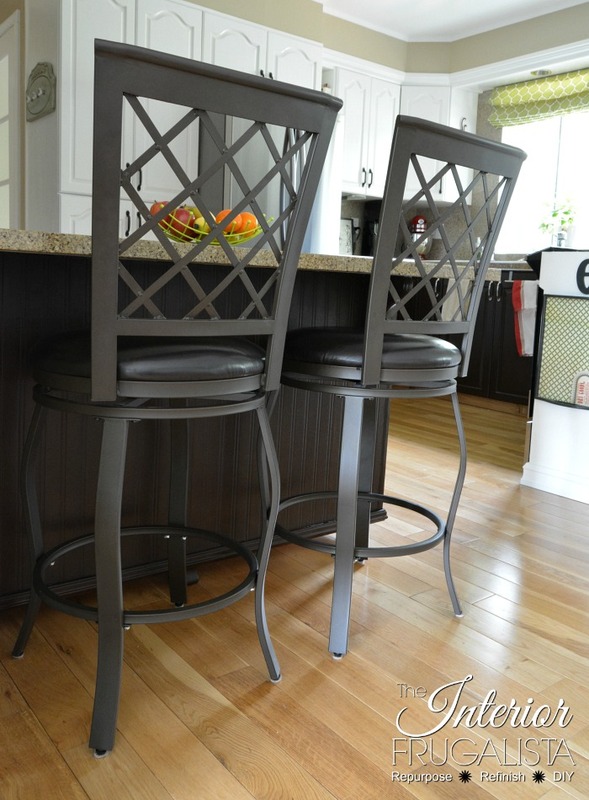 We found lattice back bronze metal counter height swivel chairs with leather seats that fit perfectly. 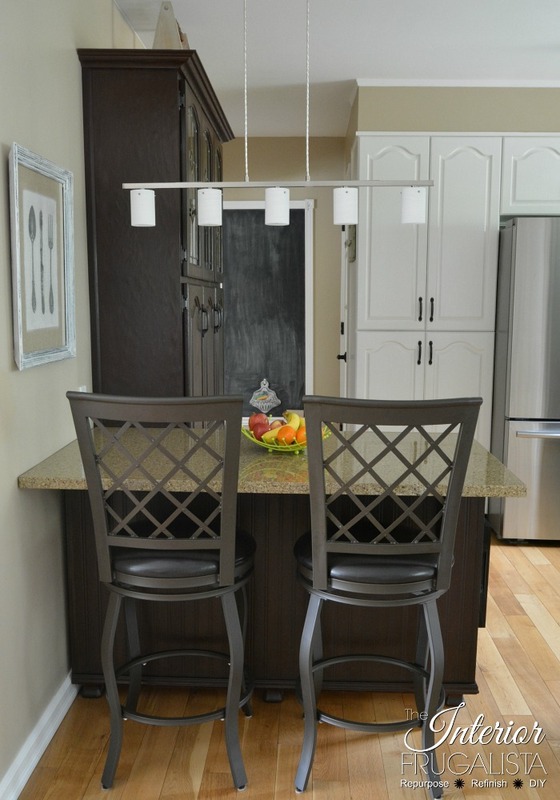 The electrical box for the light fixture was relocated above the center of the island. I found the perfect 5 pendant light fixture with frosted glass that provides great task lighting for reading the paper and food prep. We are so happy with the additional storage, counter space, and comfortable spot to enjoy our morning java - thanks to the gifted china cabinet that keeps on giving. 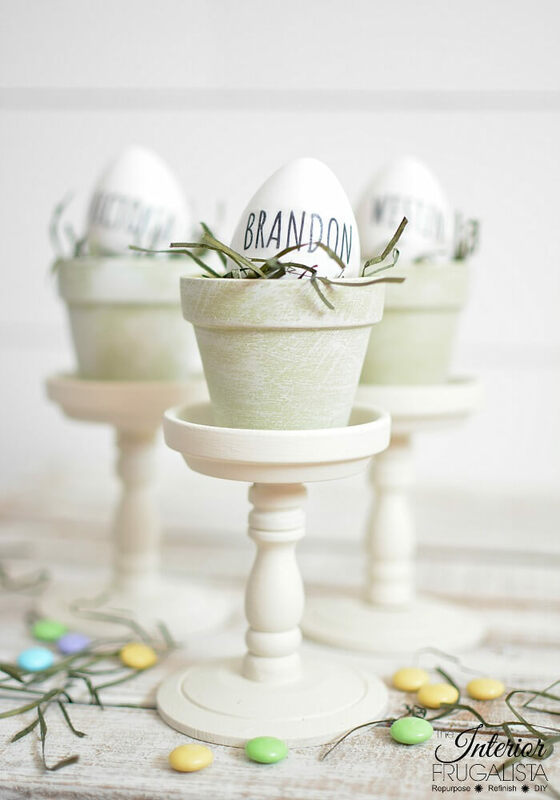 It has become the heart of our kitchen and we just love it! You are very clever and creative, Marie. I love the pantry unit in particular. Thanks Susan! Just wait until you see the project we're working on now - should be ready to post in a couple of weeks.